One of my favorite accessories are without a doubt sunglasses. Sunglasses can go a long way. When you have those “rush wake” mornings and don’t have much time to apply makeup, a good pair of sunnies will instantly make you look put together. Plus of course, it’s good protection against the sun, especially in the Summer. I tend to sometimes forget my shades when I am running out the door and by the time I remember they are missing, it’s already too late to turn back. Ugh. But I am always scouting for classic and trendy but unique shades. I am such a sucker for sunglasses. 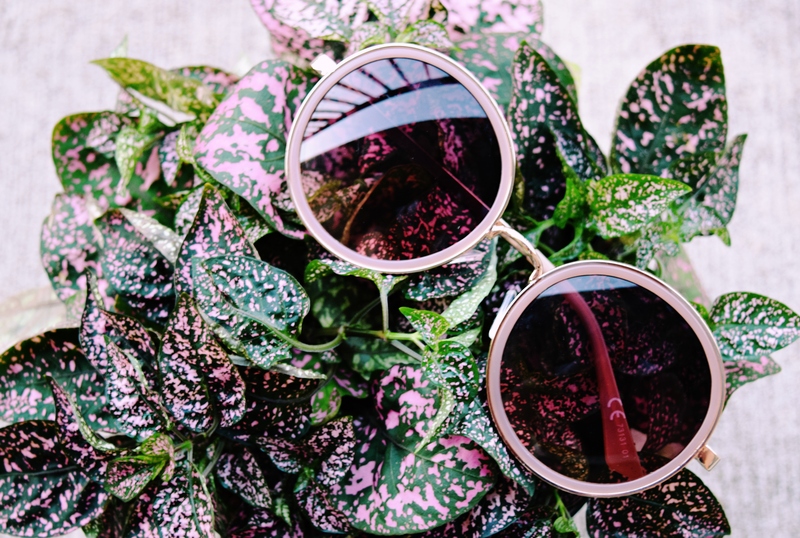 Let’s take a look at some of my favorite Summer sunnies. Who doesn’t know the classic aviator sunnies? I remember Michael Jackson making them super popular since that’s all he would wear. Aviators are perfect for those with heart-shaped faces to complement your draw-line and elongate your features. I can’t get enough of these sunnies and they are current favorite of mines. Can’t say no to a cool 70’s vibe. This trendy shape is a classic and are great for diamond-shaped and square-shaped faces. The traditional rectangle shaped sunglasses; they balance round-faced features as they elongate the face and bring attention upward. Stay away from over-sized frames so they don’t overpower your face. Honestly, I had these shades for a long time and never worn them. Just couldn’t get myself to wear them back then. But now…I can appreciate the style more. It’s a big trend that is making a comeback this Summer. Great for square-shaped faces. A die-hard retro but classic eye-wear. This style is another current favorite I can’t get enough of. It is also a go-to frame for me when I don’t have to time pick out a specific pair for a certain outfit. Subtle shapes and more exaggerated cat-eyes are both great to wear for round, square, oval and diamond-shaped faces. I love a fun and graphic pair of sunglasses! Any shape or size of sunglasses can have a cool graphic to add a little more personality to your look. Which is your favorite Summer sunnies? Comment below. Happy Styling!